As our week drifts toward its end, a nice peaceful sunset is in order. 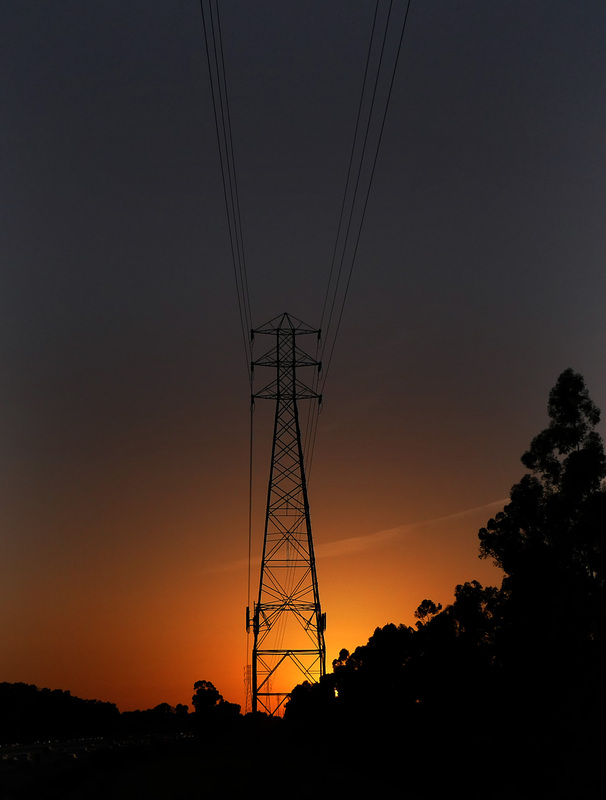 This is an electric pylon right off the 405, a few hundred yards from my house. It just goes to show that even the ugliest artifacts of human technology can become beautiful if the sun is setting behind them.